Happy Thursday! Is it raining in your neck of the woods? It seems that we are in the monsoon season. Rain, rain, and more rain! We are currently under a flood watch through Friday. I can’t remember a January and February that had this much rain. On the bright side, it gives plenty of opportunity to stay indoors and catch up on a favorite hobby…reading! For the past couple of years I have been reading book after book of historical fiction…I finish one, and begin another. I decided this year to keep a list of all the books that I read. If only I had done that since my passion for reading began in the fifth grade. I could talk about books forever, but that isn’t what today’s post is about. 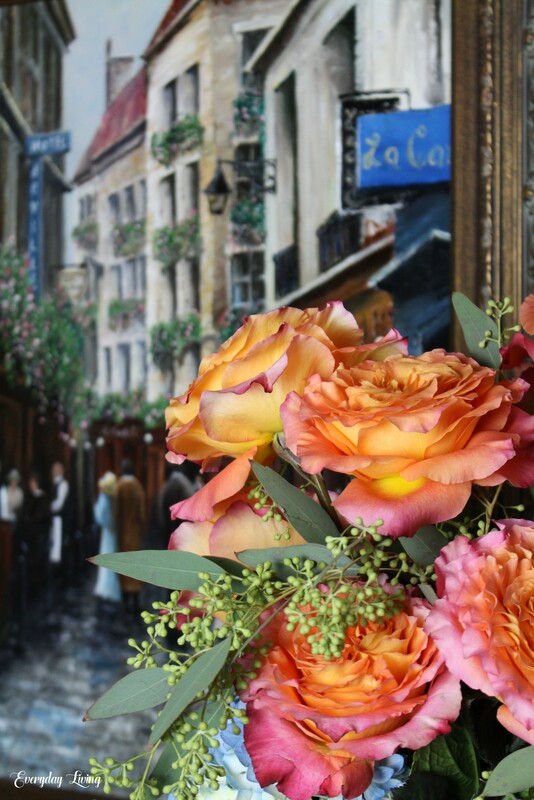 With my Monday Morning Blooms sitting on the dining room table, I decided to set a tablescape. 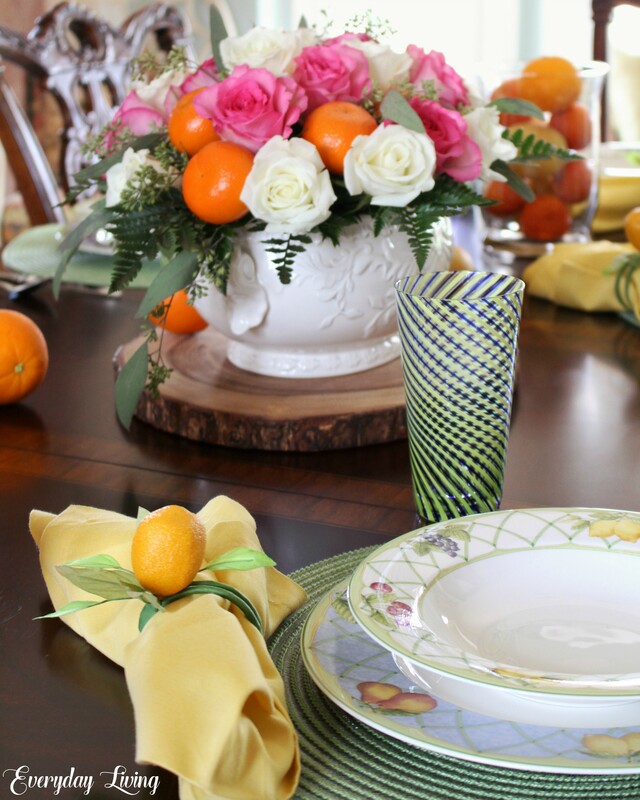 As I was putting the post together, it occurred to me that I had used fruit and flowers on several previous tablescapes. It is so easy to incorporate the two, they just seem to go together like peanut butter and jelly! With the floral arrangement in place, it was so simple to add six place settings! Hello sweet friends…the arctic blast has made its way to the Appalachian Foothills! It’s cold and sunny here, which makes for a perfect morning to stay in and drink coffee! It’s the third Monday of the month and that means it’s time for Monday Morning Blooms…and today is a really special one for me. I hope you’re ready for a story of flowers and friendship! It was 1974 that I met this bigger than life, bubbly personality, with a south Alabama accent that would melt butter. She had just moved here, and I was immediately drawn to her charm and warmth. She was one that as soon as you met her, you knew you would become friends. Happy Thursday dear friends! Can you believe Valentine’s Day is less than a month away? No matter how you celebrate, it is a sweet day to share love…and oh how we need more of that! But, we will save that subject for another day. 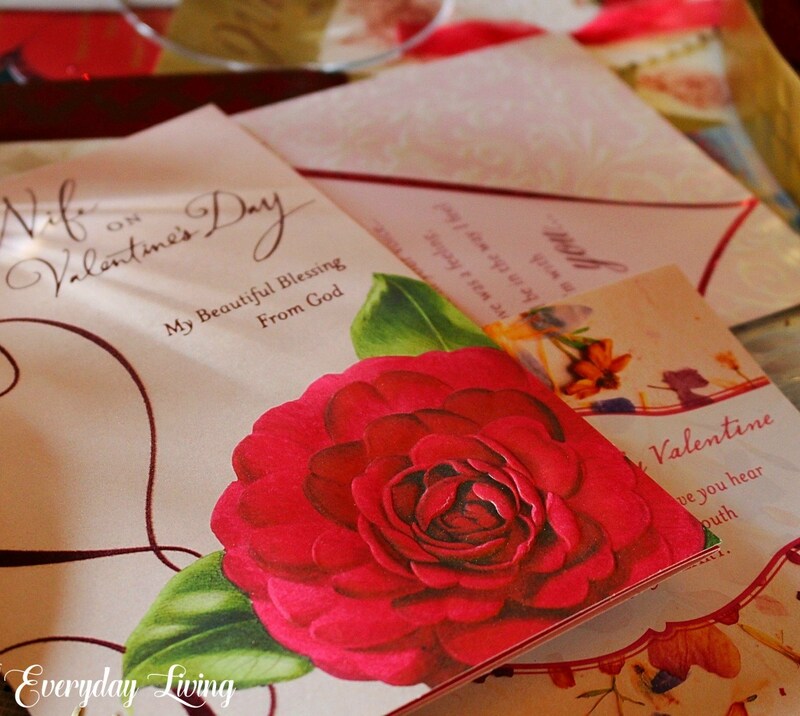 Today, For The Love of Valentine’s Day, I am sharing some inspiration to help you celebrate the holiday of love! 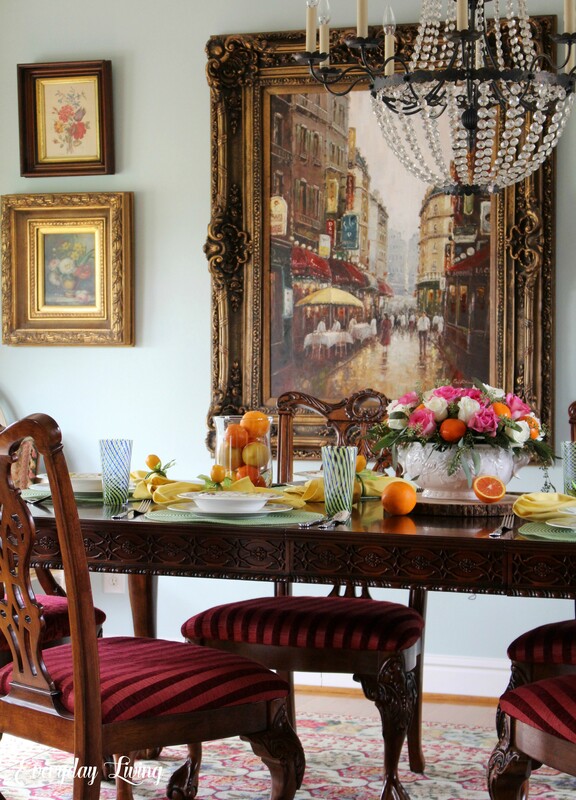 Whether it inspires you to share a quiet evening with your honey, or a dinner with friends, or perhaps a brunch for girlfriends, it can be a special day! Cards are a simple way to show our love. I have kept most of my Valentine’s through the years and enjoy taking them out and rereading. It is a good time to send love to a widow or widower, single person, or someone going through a hard time. It is amazing how a single card can brighten someone’s day. This was a table I set for four to share with another couple. This could be an invitation to a couple who are friends, parents, or a young married couple who need encouragement. 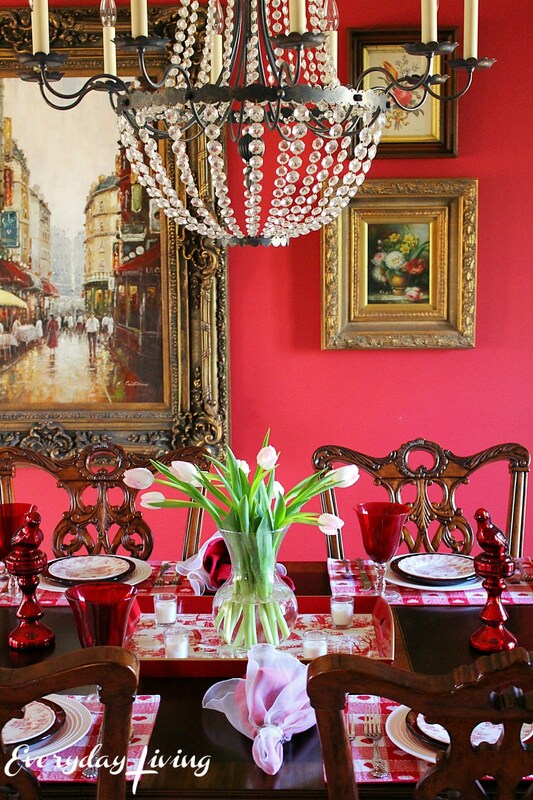 My former red dining room was perfect for Valentine’s celebrations. Click here for original post.